Transcript for Previewing the UEFA Champions League Round of 16. Oh. After a month off the champions league is back which means we are due for a lot of high class European soccer this week. There are sixteen teams were mean and fourteen of them were favored and make it this far only two Leo and I acts. According to buy pretty projections and less than 50% chance at making it around sixty that means that this. Round of sixteen is wide open here's a chart of all fifteen teens soccer power index ratings. From before the groups they just started to Wear their. As you can see Manchester United Barcelona and -- chancellor elementary I'll drop since the group's changes began. And meanwhile dormant and I acts have risen there. That is with a pretty unpredictable round of sixteen champions league only one of the pairings is really locked that's Manchester City vs shock. Anthony in 91%. Chance of moving on that mapped out. Into the core you'd expect there to similar lopsided odds and after like Barcelona personally own the Barcelona has withstanding 9% chance not nearly as high. And Manchester City then there are some act if there are forecast doesn't necessarily have a good handle take for example PSG vs Manchester. Yesterday a pathetic 5% chance of winning and moving on to the finals two matches is Manchester. But the trick is that they're missing two significant players are forecast and he doesn't know is missing and that's Tom Austin. And I think about enough not to mention that name Mars also yesterday another good quartet. Actors that if he does favorite or underdog take for example Dortmund vs. Or Liverpool vs Byron Munich or invent this personal medical Madrid and then there's one match. Oklahoma vs Puerto actually 5050. According. Overall going to forensics teams are productions and that man city is the favorite to win the champions league at 20%. Chance. I might be helped by a week drop you know the lock that'll. Be sure to check factory gate for the rest of champions league to see who's up who's down in our. 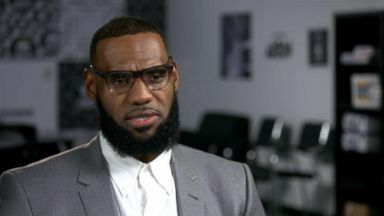 The NBA star, who has been a vocal critic of President Trump in the past, now said "sports has never been something that divided people." 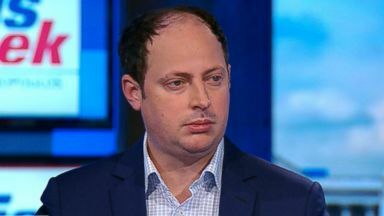 George Stephanopoulos talks to FiveThirtyEight's Nate Silver about the latest developments on the 2020 race, including the possibility former Starbucks CEO Howard Schultz runs as an independent.